Receiving a free romance compatibility report will try to tell you if you are with the right person. Don't spend another day wondering if you have found your soulmate, put your faith in the stars. Looking for something sweet, witty or a little flirtatious to write to that special someone? 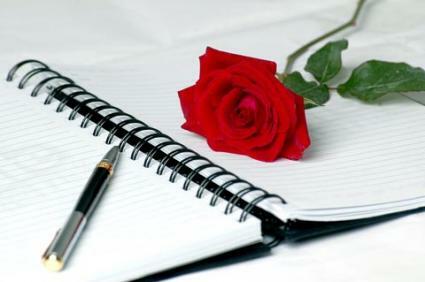 Jotting your ideas down on paper in a little sweet note may be just enough to let that person know you're thinking of them. Seduction stories are as old as humanity itself, starting with the first moment two eyes met across a fire lit cave. Whether it's boy-meets-girl to Cougar stalks boy, we all are interested in seduction stories. Dating violence is an unbiased issue, meaning it can affect anyone at any time in life. Knowing the facts about the severity of this problem can help prevent the growth of dating violence. Short and cute love poems are the perfect way to spice up an email or text message. No matter how bad a day you're having, getting a little sweet nothing piece of poetry can brighten up everything. Mobile dating is a new way to approach an old topic. It has transformed how romantic relationships are formed around the world. Dating can sure be a lot of fun when you're doing it right, but some of us need the help of dating resources to get started. First of all, how do you actually meet people? Should you just saunter into a bar and approach the first attractive stranger who catches your eye? That could be dangerous as well as foolish. It's comparable to reaching into a box of snakes to find a diamond engagement ring. You're probably going to get bit a few times before you find it. The bottom line is, you need to know the right places to search for someone like yourself who is truly looking for fun, romance, and maybe quite a bit more. Finding the best type of dating service or hunting ground will depend on your personality, location and schedule. Preview the options we have researched for you here in the Dating Resources section. Does your entire group of friends think they have the perfect match for you? You might want to check out our article on Blind Dates before you agree to try a date with your "perfect" match. Maybe you have been curious about Personal Ads or Speed Dating? Whatever you desire to know, that is what we have researched for you! As that is what Dating Resources is all about. In these pages, we'll do our best to give you sound advice on the best resources for meeting people you have something in common with, in order to give you a better chance at true compatibility. If you're someone who's had success in your dating life, and you want to share your own dating resources, by all means, make a literary contribution to this website. LoveToKnow Dating truly wants your participation.